When you join our Volunteer Advocate Community, you’ll learn from and connect with other volunteers from around the country, who have valuable advice to share with you! Just read the following interview with Nancy Johns from Washington, who has been advocating with World Vision for more than 12 years. She shares about the benefits of building a relationship with her member of Congress over time, to the point where she could openly and honestly address more controversial issues from the heart. How did you first get involved with World Vision Advocacy? I had been a part of Women of Vision for about 12 years when I attended a World Vision Advocacy summit, where I learned more about advocacy and got to meet with my members of Congress. And the Lord just tugged on my sleeve. It was right up my alley. Advocacy really requires persistence to build a relationship and make an impact. We forget that nearly everything we do is about relationships. You’ve built a relationship with your Congresswoman’s office over time. How have you seen that long-term engagement have an impact? If you’re a member of Congress from Virginia or North Carolina, it’s a quick hop to your office in D.C. But from here in Washington state, it takes a day to go to D.C. and a day to come home. For my members of Congress, being in D.C. and being in touch with your home district takes a lot of effort. That means the relationships are often with the staffers in the Congress member’s office. So I’ve developed a relationship with my Congresswoman’s staffers and even video-conferenced with the Congresswoman herself. Her staff knows where I stand and what I’m there to talk about when I arrive for meetings. And I know the issues that the staff and the office is facing. By being consistent and meeting with them over time, I’ve been able to form a relationship. And because of that, I’ve also built on the things that my member of Congress is passionate about – she’s all about domestic issues. Knowing what she cares about domestically helps me understand what she wants people to know about her. It’s a great springboard to connecting on a global issue. 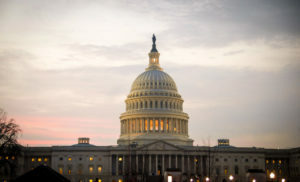 Recently, you had a challenging meeting with your member of Congress – how were you prepared and what was the outcome? The Congresswoman’s office and I have been talking for some time about maternal and child health. I went over why I supported the Reach Every Mother and Child Act, and we wandered into a sensitive issue, family planning. So we just talked about how it’s more of a matter of child spacing and the value that has for families, moms, and the kids already in the household. Overall, we waded into controversial questions, but we were able to do that because we had an existing relationship. If you have respect for one another in the room, you don’t have to agree – you’re able to state your position, not in an argumentative way, but in a supportive way that says, “This is my position and World Vision’s position on this.” If the other people in the room have respect for you, they will hear that. They might counter with a different position, but at least you’re having a civil dialogue about it! What advice would you have for advocates who are nervous that their meeting might get uncomfortable? Find common ground and go for it! Cast a vision for why you’re there and why you’re going to keep coming back to meet with the staff at the office. Congress knows they work for you and they want to meet with constituents – they don’t want to make it up on their own. It’s a relationship. Ask questions, find common ground, educate them on a topic, and then ask for what you want them to do. Acknowledge where they are, support them, and stay focused. Prepare before you go! If you’re going with a team, make sure your team stays on topic. This is where biblical advocacy is so important. Our members of Congress have a hard job! There are lots of different interests and your representative has to know something about all of them. That would be overwhelming! You can be there as a resource to your member of Congress and remind them that there are constituents that know about these issues and can help them be more knowledgeable, too. I think it’s important to be a help to them, and to love on them. You’re a member of our new Volunteer Advocate Community – what are you most excited about as a part of that community? I have found that the things that World Vision Advocacy teaches are so valuable. For example, learning about how legislation is passed helped me understand how USAID and foreign assistance works. This community will help advocates across the country take advantage of not only what World Vision Advocacy can teach, but also what other advocates have experienced. Are you interested in an opportunity to learn from advocates like Nancy and grow your advocacy skills? Join the Volunteer Advocate Community, an active, supportive community of Christ-followers who support one another in advocacy. Fill out the form below for more information! Tell us why you're interested in joining the volunteer advocate community. Yes, I'd like to join the Volunteer Advocate Community. A World Vision team member will be in touch. 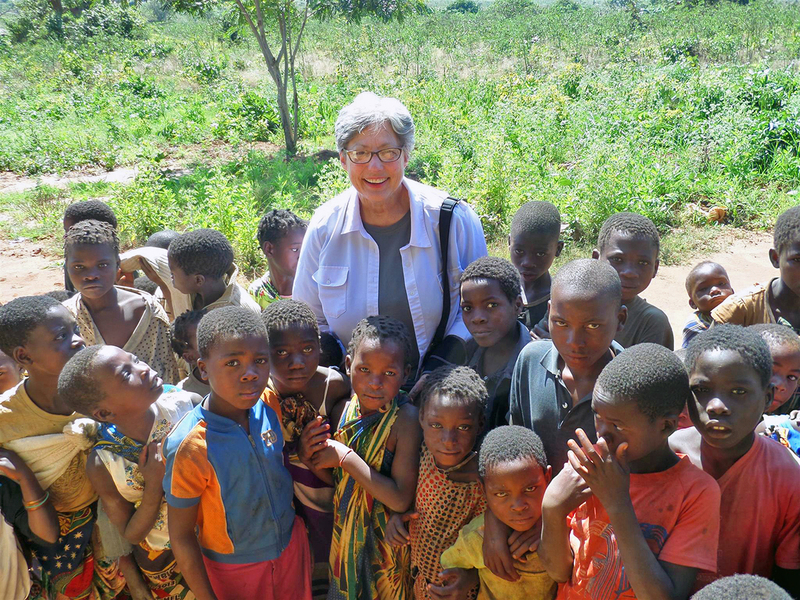 Photo: Advocate Nancy Johns on a church trip to Senegal.